Set goals. It’s nearly impossible to keep a lofty resolution without clear goals. If your resolution is to finish your memoir in 2016, make sure you break that resolution down into concrete, manageable steps. Facilitate goals. Remove any hurdles that might prevent you from keeping your resolutions. For example, if time is an issue, consider working fewer hours or cutting back on social engagements to make time to meet your goals. Make writing a priority. Take a break from TV and social media, and set aside a time to write every day. Whether you post creatively on Twitter or write your spouse a juicy love letter, regular writing will feed your creative side and improve your craft! Read, read, read. The number one piece of advice best-selling authors offer to other writers is to read as much and as widely as possible. Research. Get to know more about the topics you’ll be writing about. You can chip away at this a little each day and amass quite a lot of knowledge over a year! Connect with other writers. This year, resolve to use social media or in-person or online writing groups to connect with other writers. Share publishing tips, encourage and inspire each other, and make the “solitary” life of a writer a little less lonely. Embrace a good critique. If you want to improve your craft but find it difficult to be objective about your work or spot the flaws in your writing, consider joining a critique group. Constructive criticism is a writer’s best friend! Learn to love rewrites. Make rewrites, edits, and revisions a normal part of the writing process. It helps to set your work aside for a few weeks before tackling revisions, but trust us…it’s worth doing. Try something new. Feeling uninspired by the romance novel you’re working on? Mix things up and experiment with writing in other genres. It may reignite your passion for the romance novel, and stretching your creative wings is never a waste of time! Writing consultation. Stuck in a rut? The Writing Consultation service from Outskirts Press will help you jump-start or fine-tune your writing and get your book back on track. This service gives you time with a professional, skilled writer to address any writing issues you are experiencing, along with valuable advice and a plan of action for moving forward. Learn about self-publishing. The more you know about the industry, the easier it is to navigate. Do your research and learn what you’re getting into. Odds are it’s not nearly as scary a process as you imagined. Embrace your style! As a writer, you may do things a little differently, but that’s what makes you so special – and it may be what sets you apart and helps you sell books later on. Find a way to play it up. Still feel like there’s more to do? Stay tuned: We’ve got more ideas to help you set resolutions that will make you happier, more creative and more successful in 2016. 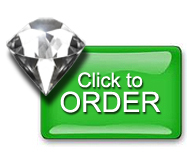 START PUBLISHING AND GET THE SOCIAL MEDIA SET-UP OPTION FOR FREE! Traditional and self-publishing authors need a social media presence in order to make the most of their one-on-one and word-of-mouth marketing opportunities. Let Outskirts Press help you with the Author Platform Set-up Through Social Media option. This month you can get this effective service FREE when you start publishing today. 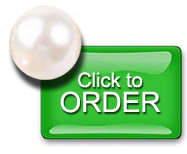 Start right now and choose to publish with our industry-leading Diamond publishing service or our full-color Pearl publishing service. 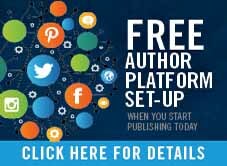 Start today with the promotion code FreeSocial2016 when you choose to publish with our industry-leading Diamond publishing service or our full-color Pearl publishing service to receive the FREE Author Platform Set-up Through Social Media option. Don’t delay! Anne Toole grew up in Williston, South Carolina. She is a graduate of Anderson Jr. College in Anderson, South Carolina and the University of Georgia with a B.S. Degree in Elementary Education. She taught in a first grade classroom in Augusta, Georgia for 30 years. 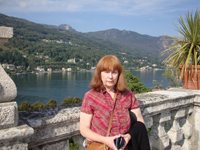 Ms. Toole has always enjoyed reading and writing poetry. As a child, she loved to listen to nursery rhymes and stories written in rhyme. When she became a teacher, she used nursery rhymes and simple poems in her class to enhance the regular Language Arts curriculum. After retiring, Ms. Toole worked part-time for three years as an ESOL teacher and also began writing stories about children and animals. She presently resides in Columbia, South Carolina. 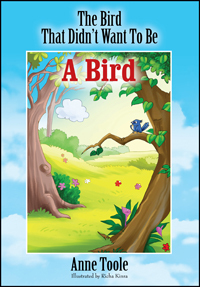 Little bird wanted something else to be, Instead of a bird in a tree. He knew what he had to do, so off he flew, To search for another kind of animal he would rather be. Read the story and you shall see, which animal he chose to be.